NSC staff bid an enthusiastic farewell to the Schroeder Road building in 2015. The National Service Center (NSC) is the national office for InterVarsity Christian Fellowship/USA, providing support services for our field staff active on hundreds of campuses across the country. In May 2015 the NSC moved to a three-storey building at 635 Science Drive on Madison's west side. The current building is the tenth national office location - and it's twelfth overall. For the first 28 years of InterVarsity’s existence, its national office was in Chicago. When InterVarsity was getting organized in 1940 it shared office space with the Christian Worker’s Foundation at 20 North Wacker Drive. The founder of the foundation, Christian businessman Herbert J. Taylor, also sat on the board of InterVarsity and later played a key role in the development of InterVarsity’s Cedar Campus Retreat and Training Center. The new building housed a staff of 20 and even had enough extra space to set aside a room for daily prayer meetings and for committee and board meetings. A plaque in the reception room of the building acknowledged its purchase through a gift from Harriette Davis Weyerhaeuser. But InterVarsity continued to grow. By 1956 there were 50 workers in the office. “Another beautiful home, known as the Colonel McCormick Mansion, then owned by Northwestern University and located a block up the street at 1519 North Astor, came on the market.”** The sale of the former property helped secure the purchase of the new national office. Ten years later, InterVarsity needed more space. InterVarsity Press secured its own property in Downers Grove, a Chicago suburb, and the rest of the staff moved to 130 North Wells Street in Chicago’s Loop. After four years of deliberation, InterVarsity’s leadership decided to move to a university town, Madison, which also happened to be the home of then-president Dr. John W. Alexander. 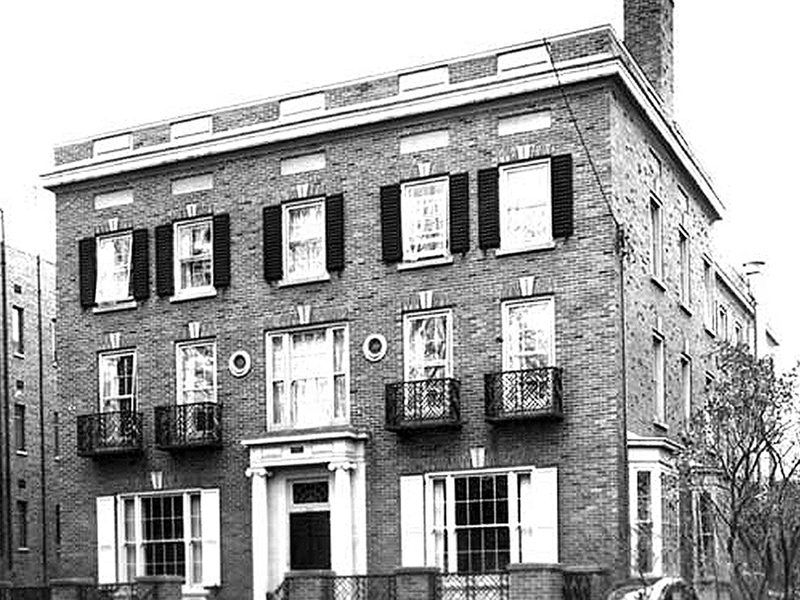 After a short stay at Carroll Hall, 620 North Carroll Street, the new national office became 233 Langdon Street, a former sorority house. An adjacent property, The Women’s Building at 240 West Gilman Street, was purchased to house Twentyonehundred’s media studios and a print shop. Later, some offices expanded to 1820 South Park Street. But the growth continued and in 1986 InterVarsity consolidated and relocated to a one-story brick building at 6400 Schroeder Road on Madison's west side. The first building to be called the National Service Center, it formerly housed laboratories of the Rayovac Corporation. It served for 29 years until the move to Science Drive.